Includes Free Digital Download Code. Limited Edition on Virgin Vinyl in Deluxe Packaging! 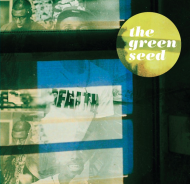 Despite having shared the stage with Raekwon and members of Jurassic 5, The Green Seed are the greatest Southern Hip Hop act you’ve never heard of. Though Alabama has carved out a niche in the current Hip Hop omniverse thanks to the likes of Yelawolf and, most notably, G-Side, The Green Seed (emcee’s R-Tist and C.O.M.P.L.E.T. and DJ FX) have been working individually and as a collective for the better part of a decade. The Green Seed’s songs are as diverse and prolific as their output, taking a Native Tounges-ish approach to topics that include the personal, the political, and the nerdy. They like to skate. They like comics. They like to crush it.